Forte Bowie LIVE at A3C! The opening night of A3c was a dope one. 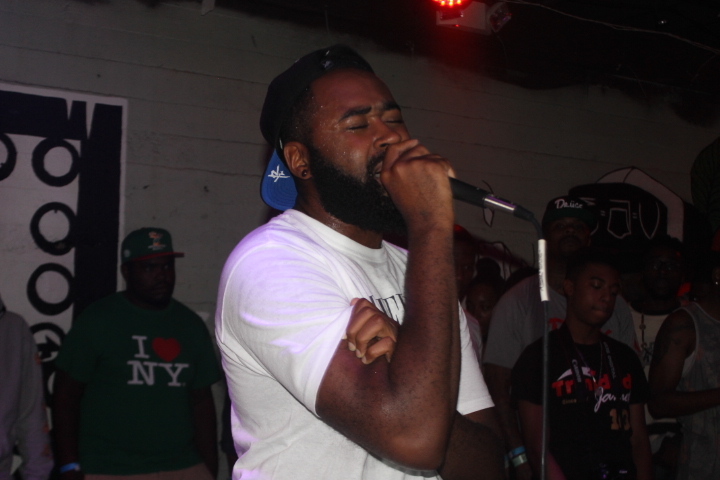 Before Rich Homie Quan came out and shut the place down [even though it was only a 3-song set], up-and-coming New Atlanta artist Forte Bowie came out and did his thing. He performed a number of songs, mostly hits from his most recent project Vice Haus, that showed of his versatiliy as an artist. The tape has songs that range from 808s and trap beats to other songs where Forte sings to his ex about the damage she did. The show, like the tape, was dope. This was my first time meeting Forte and i must say he made me a fan. Check out the footage below and check back for music from the artist on the rise. Next postCongratulations! Lee Daniels’ “The Butler” Becomes First Black Film In 23 Years To Break $100 Million Sales Mark!